Tennessee Whisky. Yes whisky. There’s only one and it is George Dickel. Nestled in the hills of Middle Tennessee, this distillery provides bucolic scenery and iconic whiskey well worth the quick trip from Nashville to take this unforgettable tour. In the mid-1800’s George A. Dickel, a Nashville Merchant, began rectifying whiskey and developed a reputation for quality and smoothness. 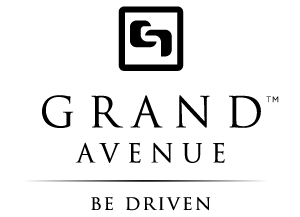 In 1878, he invested in the Cascade Hollow Distillery in Coffee County, TN which in 1958 began to produce Geo. A Dickel Tennessee Whisky. (No typo there, the Dickel tradition follows their Scottish forefathers in the spelling of whiskey) For nearly 6 decades, George Dickel has, along with its neighbor Jack Daniel’s, been the mainstay of TN Whiskey. Consistency, quality, and a dedication to craft are the defining characteristics for George Dickel. A draw unto itself, this tour will give you a glimpse into the larger side of the craft industry. They have one new and very special offering, the George Dickel 17 year-old Tennessee Whisky. Only available in the gift shop and select liquor stores in Tennessee, this is a unique opportunity from a distillery who typically only keeps their offerings for 10-12 years. The flavors are a lovely blend of oak, caramel, smoke, and grain, with a finish that leaves you feeling as relaxed as an an afternoon in Cascade Hollow. As a result of its limited distribution, the George Dickel 17 year-old Tennessee Whisky is highly sought after as both a luxurious spirit and a collector’s trophy – it is the oldest Tennessee Whiskey released in recent time. If you have an opportunity to choose an out of town excursion, strongly consider George Dickel. While not as overwhelming in scale as its neighbor in Lynchburg, the tour provides context for a distillery which is well established and confident in its quality. The approach to Cascade Hollow alone is worth the drive. 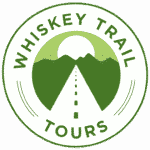 You’ll not only arrive in comfort with TN Whiskey Trail Tours, but your guide will enlighten you about the region in an informative and entertaining way. Choose TN Whiskey Trail Tours and allow Grand Avenue to deliver the best of TN Whiskey (and Whisky) in style.